Build a pipeline of talent to your business. We can help you integrate veteran recruiting programs through our cross-media recruiting and branding products. Get ready to meet your next hire. Our exhibitors report a 95% favorable recruitment ROI. Career fairs work and no one does them better than RecruitMilitary. With over 100 job fairs in 60+ markets every year, RecruitMilitary understands how to help you find success by drawing a crowd of veteran talent, and delivering a high quality experience. Getting people to the event is priority one. And it starts with our military veteran database with over 1,000,000 candidates and a website that averages 125,000 unique views per month. Our reach is extended by our network of over 150 active duty bases, over 270 National Guard & Reserve units -- over 5,000 veteran influencers nationwide. Additionally we advertise our events in Search & Employ® magazine, as well as through various social media channels. In each city, we are typically covered by 3 media outlets per event — radio, TV and newspaper. Connect with active duty military job seekers at our one of our 25+ Military Base Events. Attend one of our highly regarded job fairs on military installations and meet newly transitioning military who will be joining the civilian workforce. Career fairs work and no one does them better than RecruitMilitary. Combine virtual career fairs with a our physical job fairs and expose your organization to thousands of veterans across a region. Combine a virtual event with a physical job fair and save. Receive the same great benefits as a virtual exhibitor. These self-paced modules help recruiters, hiring managers, talent acquisition personnel and many others within your organization enhance the effectiveness of their military hiring initiatives, awareness campaigns and overall recruiting/sourcing functions. Your Green Zone Elite Training Certificate and Email Badge will reveal to colleagues the value you see inherent with hiring military veterans and transitioning servicemembers. Add additional training licenses at preferred rates! Contact us for pricing. Gain access to America's largest database of military veterans. Savvy employers know that military veterans provide a rich talent pool of candidates with the skillsets and qualities that power great organizations. Purchasing a subscription to the RecruitMilitary Database allows you to target the profiles and resumes of transitioning and veteran personnel. You’ll find our prices to be much lower than the competition in the military-to-civilian recruiting industry. Plus, the efficiency and speed of our technology will lower the cost per hire and time to hire. Use our geographically-restricted search license to pinpoint candidates Double down with job postings in addition to your search access. Find candidates with pinpoint precision, using our faceted search filter, location limits, and advanced keyword search. Double down with unlimited job postings in addition to your search access. Our expert Veteran Hiring Advisors do the work to help you find the candidates you need. RecruitMilitary's VetExpress Automated Talent Delivery System makes it easy to source qualified veteran talent for your organization, with no need to login to a Job Board to search for candidates -- and no need to understand military skillsets and how they relate to the job you're trying to fill. Expose your organization's opportunities to thousands of veterans. This is your opportunity to reach over 1,000,000 veterans with a posting on the largest job board in the military-to-civilian recruitment niche. The candidates in our database are second to none in their skillsets, and they offer valuable personal traits such as leadership, initiative, and self-discipline. What’s more, these are active job seekers, who are viewing thousands of jobs per day. Why spend more on other job sites when a posting here will be seen by candidates on a mission to find success? This option includes automated processing, and allows you to post unlimited jobs for one year. As jobs expire, or are filled, you can add new ones at no additional cost. The fastest way to get results is to speak directly to the right people. Our Targeted Email campaigns are focused on delivering your personalized message to only relevant candidates. 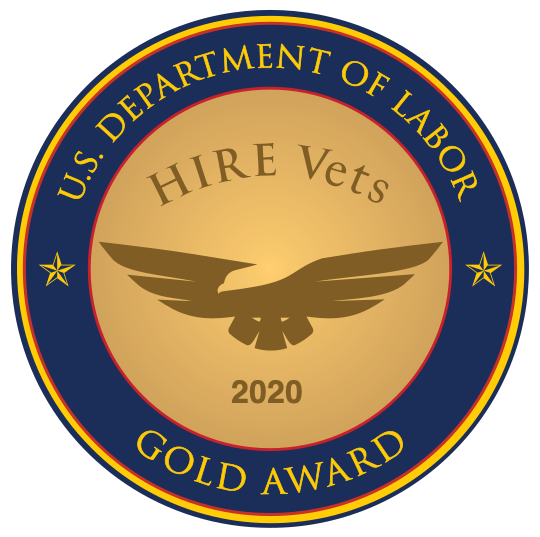 Leveraging our award-winning job board -- with more than 1,000,000 registered veterans -- we are able to put your message directly in front of the qualified and interested. Furthermore, our Targeted Emails are delivered as personalized messages from a veteran on the RecruitMilitary staff. Choose an option that fits your needs. Whether seeking to fill one position right now or to fill multiple positions for a variety of locations -- we have a solution that fits. Distributed monthly to over 300,000 opted-in veterans, our VetTen digital newsletter can be used to brand your organization as veteran-friendly and link to open positions on your website. This includes a single general ad with guaranteed placement in a #2-10 position. Advertise in Search & Employ® — Request a rate sheet. Your ad in the magazine will be distributed to hundreds of military installations, National Guard and reserve units, as well to attendees of our All Veteran Job Fairs. The digital version of the magazine has an audience of 300,000 recipients. Impact the military community with a full-page article and social media posts reaching multiple hundreds of thousands of users each week. Full-page article highlighting your organization's appreciation for the military community. 9 Social media posts with logo, photo and reporting (3 posts x 3 social media channels). Our magazine’s explosive growth has generated a need for more articles, and we invite you (or on behalf of your client if you are an ad agency) to submit material to be considered for an article. To have your organization considered for a magazine feature article, email se@recruitmilitary.com for more details. Advertise your opportunities to an engaged audience. Tell a bigger story about your brand. Attracting 125,000 unique website views per month, our microsites and banner ads are a great way to increase qualified traffic to your company’s career pages. You can create ads that link directly to your career page, or we can build microsites on the RecruitMilitary platform. Ads will appear on the pages most frequently visited by Job Hunters. Microsites, on the other hand, provide the opportunity for you to tell a specific story to our veteran population about where your company is headed and why it’s the right fit for them. Your ads will rotate on the pages most frequently visited by candidates. These include the Job Search Results Page and the RecruitMilitary Opportunity Expos Page. This is an economical way to help meet OFCCP job-listing requirements and is ideal for government agencies in need of a constant candidate flow. Your logo will rotate on RecruitMilitary’s Home Page and Job Search Results Page — and will link to a URL of your choice. It also includes unlimited manual job postings. RecruitMilitary, via our parent company Bradley-Morris, Inc. (BMI), makes this process simple and fast. Bradley-Morris’ TargetHire® contingency recruiting service puts the largest military candidate footprint at your disposal. Candidates who are accepted into the BMI program are top ranked performers and have been vetted for civilian career, salary and geographical preferences. Then, Bradley-Morris’ patented military-to-civilian matching links the most suitable candidates to your job openings and BMI’s team further assesses then confirms them for interviews. Don't just take our word for it. Read our TargetHire Client Feedback Report to learn what our recent clients have to say about the partnership. Whether your needs include volume hiring, restoring bench strength via a leadership development program, addressing diversity needs or simply bringing a high level individual contributor to your team, RecruitMilitary and Bradley-Morris can help. Connect with us and we will design a custom recruiting program to meet your hiring needs. Combine participation in RecruitMilitary’s well-attended and highly regarded career fairs with the nation’s largest database of veteran job seekers, and you have the ingredients for a great return on investment. With over 100 job fairs in 50 cities every year, RecruitMilitary understands how to host a premium event. Our veteran career fairs are hosted at unique, attractive venues: stadiums, museums, racetracks, entertainment complexes, and more. They attract high-quality companies looking for veteran talent, and are consistently well attended by an average of over 330 veteran career-seekers and veteran spouses per event. Additionally our events are advertised in Search & Employ® magazine, as well as through various social media channels. And we are typically covered by 4-6 media outlets per event — radio, TV and newspaper. We offer a range of packages including: Event, Seminar, Beverage and Tote sponsorships. *Any AV needs or other requirements will be provided at an additional charge. Our Annual Pick Membership provides strategic veteran outreach with exclusive member rates. If you are committed to hiring great talent and are aggressively targeting the veteran population to achieve EXEMPLARY Veteran Hiring Status, the Pick Membership is your solution.